Q-Connect Xerox Phaser 8200 Waxstix Black Pack Of 5 016-2040-00 Pack of 1 Office Basics Tektronix Phaser 8200 waxstix black. Q-8200-5B. 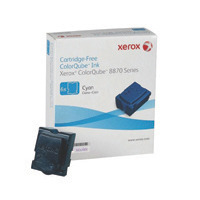 Q-Connect Xerox Phaser 8200 Waxstix Magenta Pack Of 5 016-2046-00 Pack of 1 Office Basics Tektronix Phaser 8200 waxstix black. Q-8200-5M.